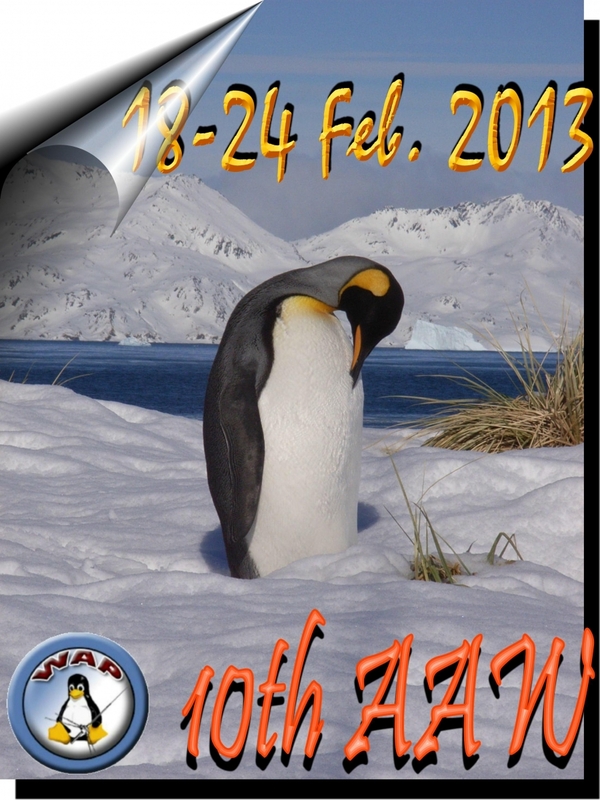 10th Antarctic Activity Week – from 18 through 24 Febr. 2013. How may I register my station for 10th AAW ? To enter the AAW, it’s necessary to have a Special callsign (not the home call) issued to celebrate the event; suggested are suffix with AAW, ANT, WAP, or A which stands for Antarctica (just for example I have requested as every year, my IR1ANT call, issued by the Ministry of Telecommunication of my Country for the AAW event). To any Special Event callsign will be given a WAP reference number to be used during the event. I don’t know the law/rules to get a Special Event callsign of foreign Countries, but the applicant should get in any case an authorization to eventually use his own callsign: /ANT, /AAW, /WAP or /A etc. , since just a pure own call is not a special event call, but a classic home call which could not be given a WAP reference number. Participation is open; hunters can try to contact as many as AAW SES which WAP reference number can be used when applying for WAP Antarctic Awards according to the Award’s rules. Congrats to IZØUIM to be the 1st one on the 10th AAW list of participants ! VK2ANT, 1st Australian Station to join the AAW. Congrats to John VK2FR !